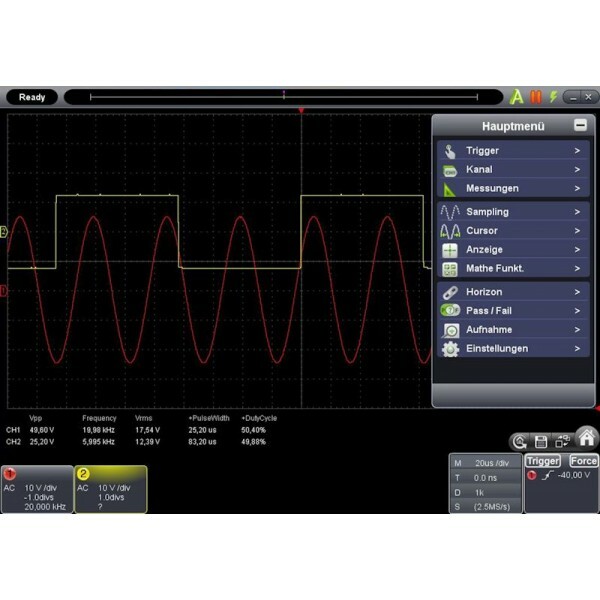 This newly developed 4-channel PC Oscilloscope is ideal for mobile use on a laptop, for permanent installation in control cabinets, for industrial equipments and many other applications where a small, lightweight and powerful oscilloscope is required. The measurement data can be directly transferred to the PC via USB or LAN network with the included PC software. 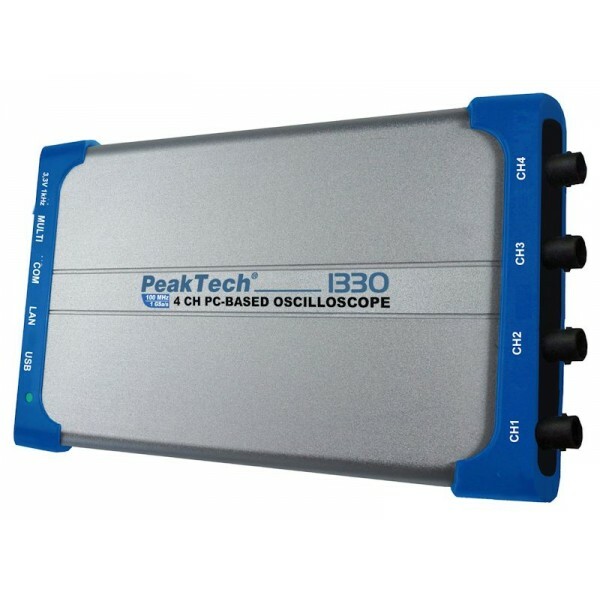 The oscilloscope has an insulated LAN network interface through which the data can be transmitted remotely in local area networks.This allows to install the device in electrical systems and allows you to do data acquisition comfortably from the workplace. The interface isolation ensures the maximum security for the user and the computer system. The powerful software and the many features make this device suitable for service, scientific and industrial applications. Vertical sensitivity 2 mV - 5 V / div.